Time For A Spa-Zation: Take Your Pick from These Amazing Wellness Retreats In India! Voted as the “best spa across the globe, Ananda Spa is one of the most favourite retreats for those who are looking for some relaxation and rejuvenation. Situated in the scenic Narendranagar, the spa resort offers majestic views of the Ganga. Choose from a number of therapies that include Ananda Detox programme which has dosha specific ayurvedic therapies, meditation, massages, yoga as well as special diets for a blissful experience. You can also participate in several other wellness retreat activities offered at Ananda. The beautiful hill station of Dharamsala is home to the famous Dharamkot Yoga Centre and the place is worth visiting for a stress-free vacation experience. The center offers a 5-day package which includes accommodation, food, yoga classes and the Ayurvedic therapies. It is not your typical swanky, posh spa but you are surely going to love the time spent here. The “Party capital of India”, Goa has Ashiyana Tropical Retreat Centre, which I must say is a good option if you are looking for a place to rejuvenate your mind, body and soul, away from the city’s hustle bustle. Special rejuvenation and detox programmes are offered all across the year and the facilities here include day spa packages, individual therapies and elixir programmes. 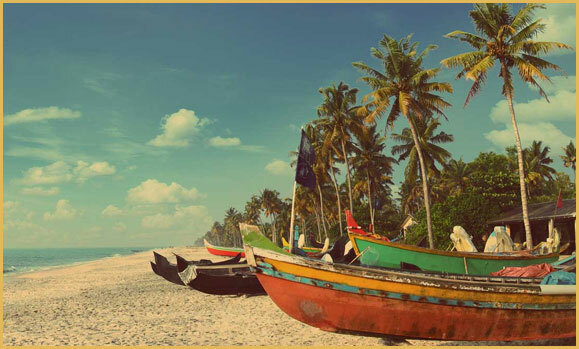 Book cheap flights to Goa to avoid last minute travel hassles. The in-house spa of the famous Wildflower Hall in Shimla is one place where people from every part of the globe come for rejuvenation and detoxing. The spa here boasts of services like massage therapies, skin therapies, ayurvedic therapies and body revitalization. Indulge in a relaxing massage session while you soak up the amazing views of Himalayas from your spa room. Satvik Sadan attempts to introduce its guests to a healthy ‘Satvik’ lifestyle designed on some features of Ayurveda and yoga to build up the de-stressing potential of the body. The concept is inspired by the Gita, and tries to engender a way of living conducive to a calm personality. They offer Snehana — an Ayurvedic acupressure oil massage in log cottages (for 45-mins, followed by a steam bath). Daily yoga sessions are offered as well. How about getting a spa massage at the place which is referred to as the “Palace for Ayurveda”? Well, Kalari Kovilakom in Kerala is one place which will take care of all your stress. The wellness programmes at Kalari are customized by the expert doctors as per your needs and requirements. Kalari Kovilakom offers you an ambiance that makes you conscious of the potentials within, being slowly unlocked as your therapies progress. No wonder why it is one of the most famous spas in Kerala. Leave all your worries here and head to these famous spa destinations to unwind, relax and detox! © Urbany 2015 - 2019. All rights reserved.